Fried chicken may not be the best option for our waistlines, but when your tastes buds are crying tears of joy (read: you’re drooling), calorie intake is just a brief and fleeting afterthought. 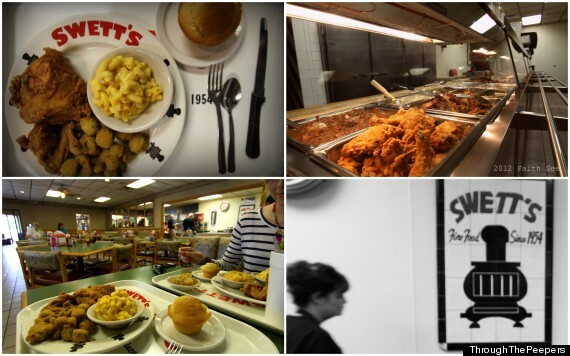 That’s why it’s important to find comfort food everywhere, especially outside of typical Southern eatery destinations. We’ve partnered with Buick to bring you the best Southern restaurants you won’t find south of the Mason-Dixon line (and one that you will) to keep your chewing muscles strong, your stomach full and your emotional state extremely satisfied. Flannel, sarcasm, Fred Armisen -- these are all things we’d expect to find in Portland. But Southern food? Not so much. 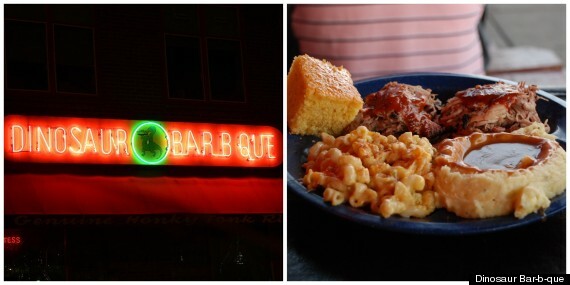 Thankfully, Screen Door offers Southern cuisine as experienced by Southern natives -- AKA, all of the good stuff. 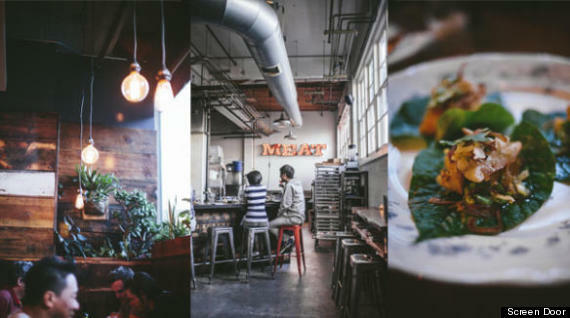 Serving local and organic produce and meats, Screen Door’s menu runs the gamut from South Carolina lowcountry cuisine, to soul food, to refined Creole and French plates found in New Orleans. The local, hipster spin is evident in their buttermilk drop biscuits, featuring vegetarian mushroom country gravy and two (we’re assuming free-range) eggs. 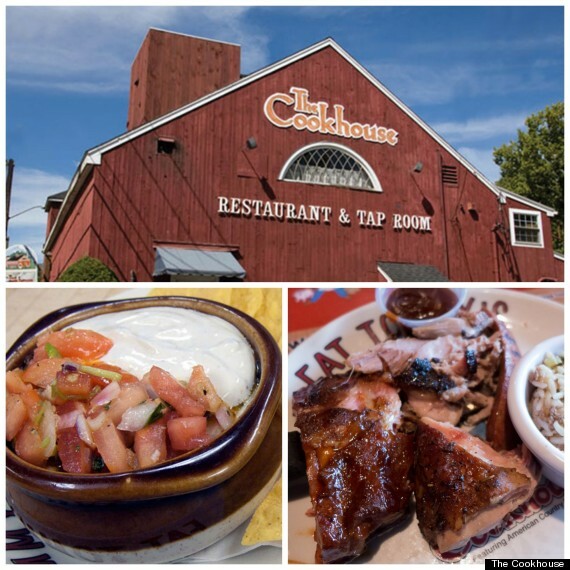 One of the most popular menu items anywhere in New England is clam chowder, but The Cookhouse in New Milford, Connecticut, has a different signature soup: cookhouse chili! The “spectacular crock” is filled with beef and pork BBQ trimmings, topped with pepper jack cheese, fresh salsa, lime sour cream and fresh tortilla chips. Uh, yum. The menu includes a chicken fried steak, a juicy cube steak battered and fried with cream gravy and two sides. 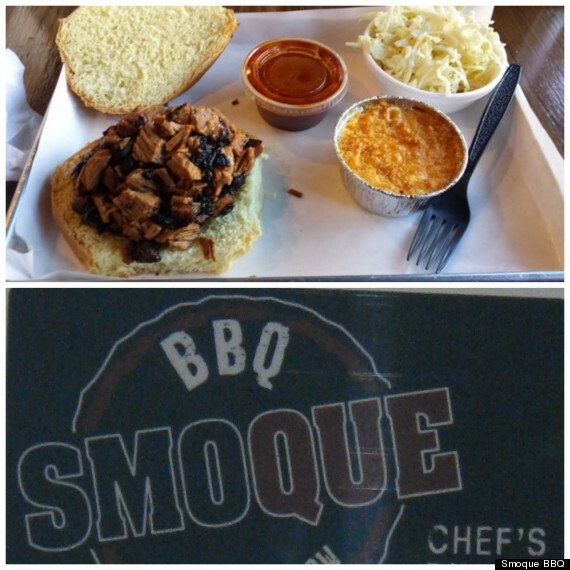 One Yelp reviewer praises Cookhouse as, “hands down the BEST BBQ I have ever had...and I lived in Texas for 9 years!” We’re convinced. Airports are typically known for being a hub of flight delays, lost luggage claims and disgruntled passengers -- essentially, chaos. However, the Hartsfield-Jackson Atlanta International Airport is home to something much sweeter: exceptionally great Southern cuisine. 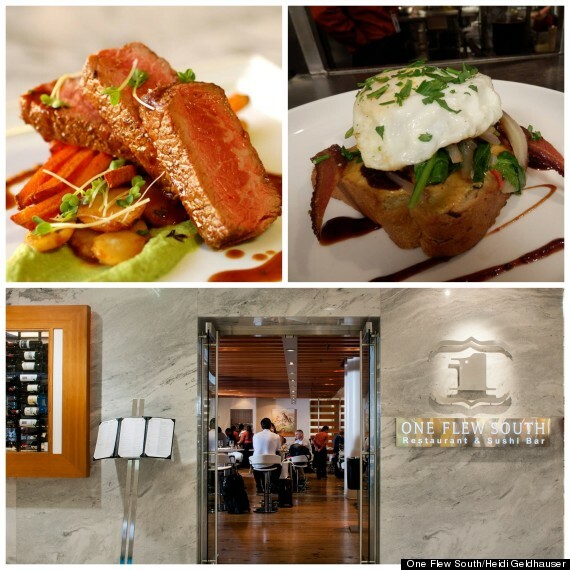 One Flew South, the airport’s first-ever upscale dining experience, has a menu stocked with ingredients from regional producers and a brilliant to-go menu that allows guests in a time crunch to enjoy their meal. 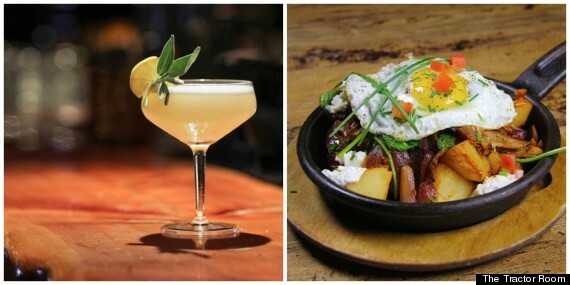 Schedule your next trip with a layover in Atlanta and treat yourself to a thyme-roasted pork belly or ‘OFS’ dirty south: an open-faced meatloaf sandwich with pimento cheese, sauteed spinach, bacon, BBQ sauce and a fried egg. Okay, we know this isn’t a definitive list: what’d we miss? Share your favorite southern restaurants and barbecue spots in unexpected places in the comments. #Buick designs luxury cars inspired by the well-lived life -- and all the destinations, (food) discoveries and companions it’s filled with.